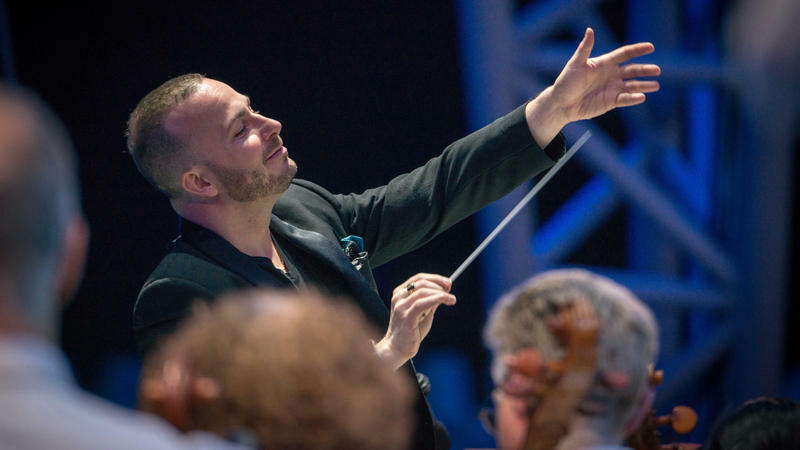 WRTI's Susan Lewis talks with Philadelphia Orchestra Music Director Yannick Nézet-Séguin about his creation of a playlist for animals. 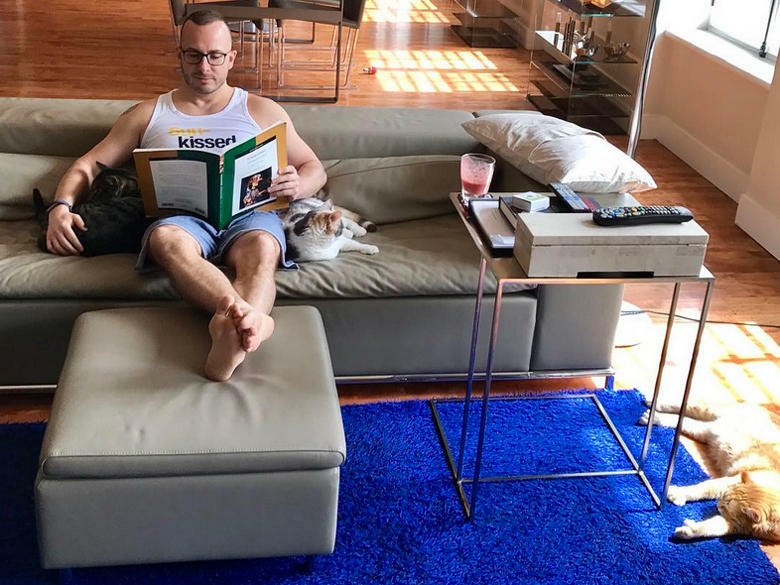 This may be one of the most endearing stories you've ever heard about Philadelphia Orchestra Music Director Yannick Nézet-Séguin, who currently shares his home with three cats, and has a soft spot in his heart for all animals. 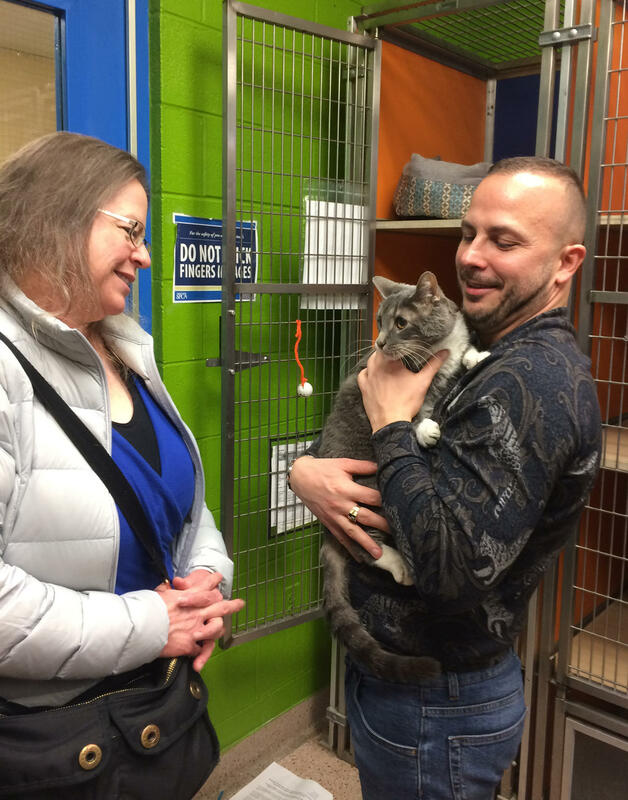 Yannick visited the Pennsylvania SPCA Erie Avenue headquarters in Philadelphia on April 3rd to spend time with the animals there, and share a playlist that he and his partner, Pierre Tourville, created especially for animals awaiting adoption. Listen to the playlist with 326 classical works, selected with great care by Yannick and Pierre. The day after he visited the shelter, Yannick chatted with WRTI’s Susan Lewis about how he and Pierre came to create the playlist for these animals. Susan Lewis: Yannick Nézet-Séguin, you've created a playlist for animals! Yannick Nézet-Séguin: Yes, basically easy, actually, to do for me because I have music playing at home all the time for my cats when I'm not there. And of course there's music playing when I'm there too, so they always have music and they always had, and I always had cats. So, for me, it's a given that cats love classical music. And I realized when I talked with some cat owners and I got in touch with the Pennsylvania SPCA that these cats, when they're there in the shelter and they’re just waiting for adoption that probably having some classical music will help them have a more quality time there, and as a result become more calm and peaceful and more easily adopted. So this is for their quality of life and I quite easily selected some pieces because they are what my cats prefer. Such as? Tell us about your cats. So, one cat that's no longer with us, unfortunately passed, but it was my first cat really, on my own, was called Parsifal, after Wagner's opera. So, of course, he loved big operatic moments. And so Parsifal is on the playlist. I also had a couple—Mélisande and Pelléas. So, Pelléas et Mélisande by Debussy and, Pelléas is also is no longer with us, but he loved Debussy’s music. So, there's a lot of piano music from Debussy, also string quartets because Pierre plays the viola, so of course, my cats are used to string music. Mélisande is still alive though, and she likes Mozart, especially she likes when, when something is a little more refined and elegant. So there's The Marriage of Figaro in the playlist. Some Bruckner symphonies too, because all my cats love big symphonies. They love when it's actually full and rich sound. There's of course some Philadelphia Orchestra recordings and Mahler 5, Stravinsky Rite of Spring when I want the cats to have a bit more action. There's a lot of napping music for the cats, too, like Chopin Nocturnes, which I used to play on the piano. And nowadays there's Rudolfo, one of my cats who loves to sing to himself. So he loves also operatic music. I put some Jennifer Higdon in the playlist because Jennifer loves pets, loves cats. I put some Nico Muhly because he has a dog and I like his music. So, it's a very personal playlist with friends—human friends and furry friends. What's their response to the music? The response is very interesting. It's usually very calming, but also sometimes I can see them listening. They have their eyes closed, but the ears are still perked up. They don't sleep. They're really actively listening. And I feel that this is something that just nourishes them the same way as it does for us in music. My opinion is that music is a part of a certain harmony in the world and that animals are part of this greater harmony and they should be treated the same way. What a wonderful idea to share this with the rest of the world. Thank you so much, Yannick Nézet-Séguin. Thank you. And hopefully it's going to help pets all around Philadelphia and Pennsylvania have a great time. Yannick visiting the PSPCA shelter on Erie Avenue in Philadelphia. What was your experience when you went to the shelter? Lovely animals, lovely people taking care of them. And I think it couldn't be a better way for helping those animals finding their forever homes. And if it weren’t that I already have three cats, I would have come out of that visit with two more. But, hey, I will go and visit again and maybe I'm going to adopt some more. Fans at baseball games across America have been singing the same song during the seventh-inning stretch for decades. If you're in the stands, nothing beats the fun of belting out that tune everyone knows, "Take Me Out to the Ballgame!"